Being one of the most visited pages in the USA is no joke and Squidoo is among the top three hundred. As an internet marketer it is not difficult to imagine the efforts that have gone behind to bring it up right there. Moreover, it is free to join and easy to use and market your services or products. Imagine a link from such a top web page making the effort and giving your very own website a hike in page ranking! The possibilities are tremendous and imaginably not ignorable..! Coming from one of the greatest gurus of internet marketing, Seth Godin, Squidoo is a mean but indispensible tool in the social networking niche. Different is singular sense that you can actually build your own single page website using Squidoo and keep it there (also called a Squidoo lens). And don’t fret, you may be technically challenged and yet get the best of Squidoo. In addition to the great advantages mentioned above, Squidoo supports a lot of content styles that include EBay and Amazon revenue sharing models and even RSS feeds. Interactive and multimedia content is obviously an option and sharing content from Youtube and guestbooks is an amazing proposition. In fact, a Squidoo lens is limited only by your imagination and nothing else. Since Squidoo is ranked high up there on search engines, the advantages of getting a good page rank and wonderful SEO ranking for your own website is not ruled out and in fact it is one of the best advantages that can be used by any internet marketer. One thing to remember though is that the Squidoo lenses that you create need to be optimized properly to get the best results. Another contribution of Squidoo to the SEO professional is that links from Squidoo lenses are accepted by many article directories in their resource boxes, thus exponentially increasing the SEO efforts. Squidoo is also probably the easiest way to make money on the internet. All you need to do is to build lenses to promote products and services in the niches of your interest. 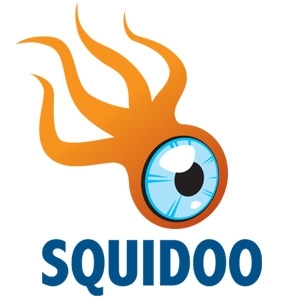 Squidoo offers two kinds of money-making lenses – Topical and Product. Product lenses are mostly used by affiliate marketers to promote products and the Topical variety of lenses are mostly used for services and just fun. Squidoo’s economics to earn money are simple and straight. 5% of earnings are donated by Squidoo to charity and 45% of the earnings are used for costs. 50% revenue that remains are distributed amongst members thus making for a great way to make money. Remember, the signup for Squidoo is free and once confirmed, you can go on building as many lenses as you want to make the most of them. Don’t forget to build your profile before anything else, since a good profile goes a long way in selling. Also, you may have multiple Squidoo accounts to cater to multiple product lines or businesses. But, if you can keep your lenses related, it sort of makes you look like an expert. The secret to success in making a lens sell is to have at least four modules in it failing which the lens could be deleted. Recommended modules are an article, a review, a link to the product and a guest list. Many more modules can be added and this does not mean that you go on and fill up the lens, it could confuse the visitors. Make sure there is a balance and a visitor looking at the lens does not get confused. There are a lot of tools on the Squidoo lens page to promote your lens once you have created it. Adding the lens to your social bookmarking profiles and bookmarking it is the way to go and of course writing articles and submitting to article directories with the lens link in the resource box would also be a good way. In fact article marketing with a Squidoo lens will bring two-pronged benefits, the PR from Squidoo as well as the article directory and indexing advantage due to direct external links as well as cross-linking. Faster indexing on search engines: If your lens has a good number of targeted keywords, it normally gets indexed in the first 2-3 days of creation and on an average it has been seen that the indexing is much faster compared to other marketing or SEO practices on the internet. This is one of the fastest methods of SEOing a new website and it works wonders.2. Google Rankings- If your Squidoo lens is targeted to a specific keyword, there is a high possibility that the lens will rank on the first 3 pages of Google. Google likes Squidoo a lot and taking advantage of this is only to the marketer’s delight. Since Squidoo is already ranked high and relevant for a variety of niches, it is only obvious that the same will rub off on your lens too and the links within it.3. Simple- Squidoo is very simple to use and make lenses. In fact, with a little experience, it takes about five minutes to make a lens. However, filling it up with content could take some time depending on your preferences and tastes. 4. Free– Squidoo as the world knows is free to use and create an unlimited number of lenses. In this aspect Squidoo can be really addictive and money-making. 5. Regulations- Regulation on Squidoo are not hard to comply if you compare them to PRWeb or Ezine. Promoting products is not against Squidoo’s TOS, however one has to be careful not to put too many affiliate links. Squidoo may delete the lens considering it “spammy”. Competition – Hubpages, Knol and Mahalo.